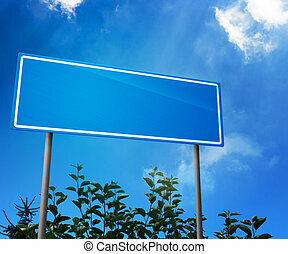 Blank road sign against the sky with clouds. 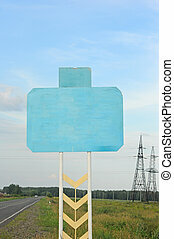 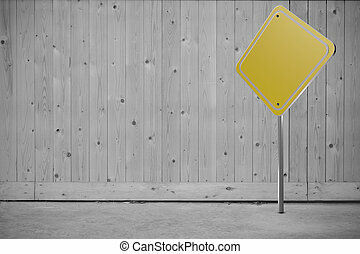 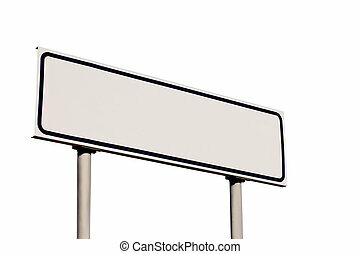 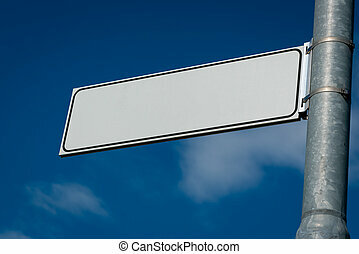 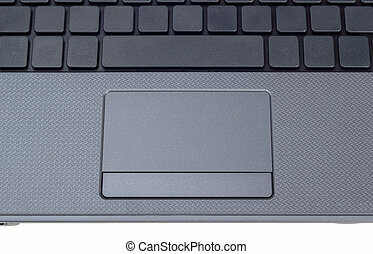 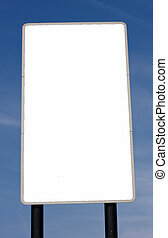 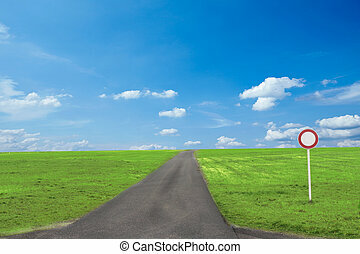 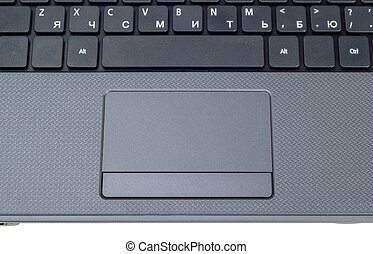 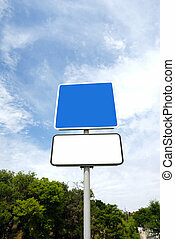 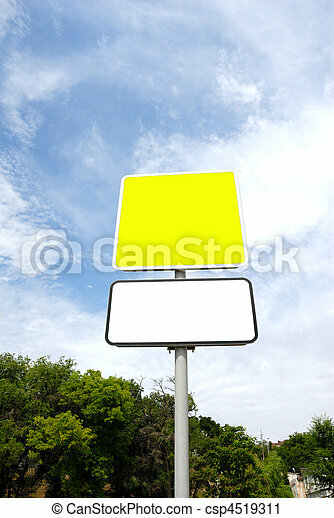 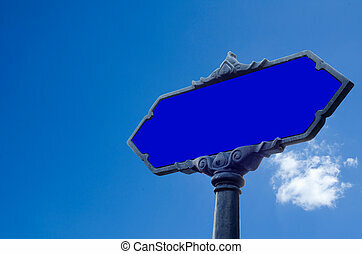 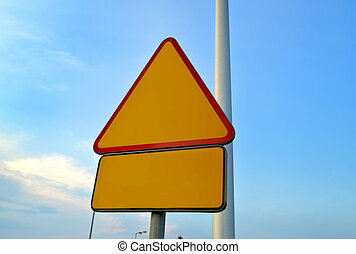 Blank Road Sign with sky and clouds. 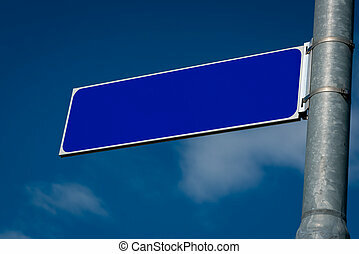 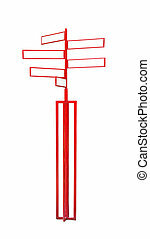 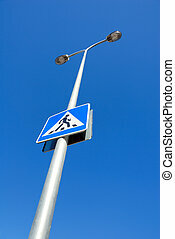 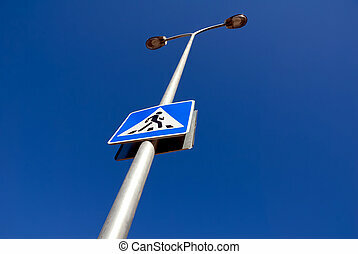 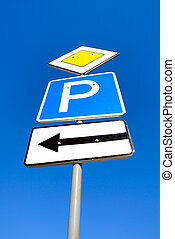 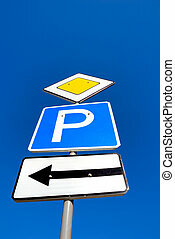 Guide sign column against the dark blue sky. 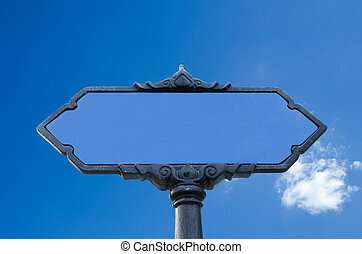 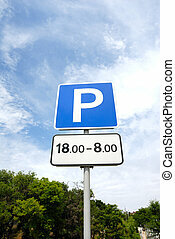 Guide sign, column of illumination against the dark blue sky.